Tuesday and Friday: 10:00 - 12:00. 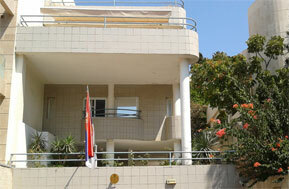 Welcome to the official website of the Embassy of the Republic of Serbia to the State of Israel. 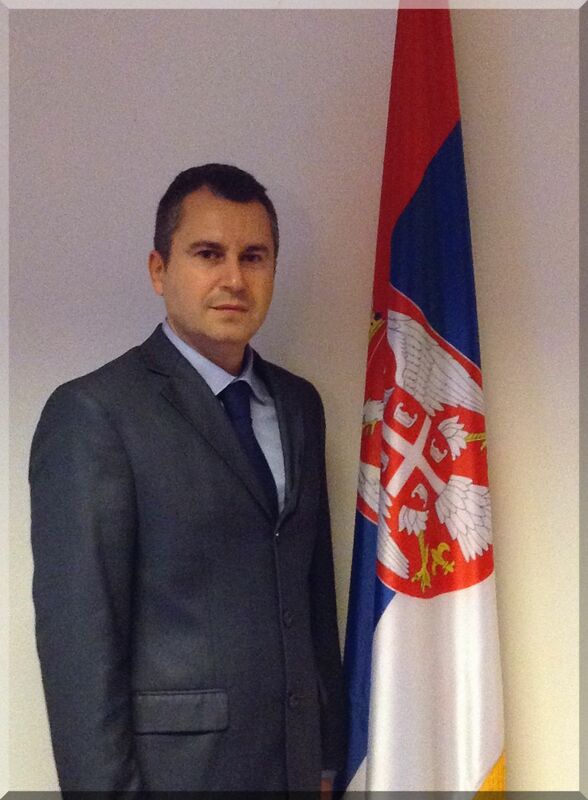 I am honored to represent Serbia in Israel and together with the Embassy staff I am looking forward to actively contribute to the development of our relations in the political, economic, cultural, consular and all other fields, and to the strengthing of people-to-people ties between our two friendly countries. This website provides basic information about Serbia with useful links, along with the information about Embassy's activities in Israel. There is also a specific section on various consular service provided by the Embassy. I hope that these information will assist you in your queries. I also warmly welcome all your comments and suggestions which will help us to further improve this website. The Hebrew Writers Association in Israel, supported by the Embassy of Serbia, organized an evening of Poetry and Prose on April 3, 2019 in its premises in Tel Aviv featuring a Serbian writer Miodrag Jaksic, who has, on the occasion, presented his works to the Israeli public. H.E. Milutin Stanojevic participated the event, and has prior to it hosted in the Embassy our writer, who is also a member of the Association of Serbian Writers’ Committee for International Cooperation. A panel with inscription in Cyrillic in Serbian language – a quote from the New Testament – was formally unveiled on March 1, 2019 in Yardenit, a place marked in Israel as the site of the Baptism of Jesus. The panel was erected thanks to the donations by Serbian pilgrims, especially those from Sabac, with the support by the head of the Church of St. Apostles Peter and Paul father Tomislav Lukic. In the presence of dozens of pilgrims from Serbia, the panel was formally unveiled, following a short ceremony and speeches, by the director of the Yardenit Center Sarit Gani, Ambassador of Serbia Milutin Stanojevic and father Tomislav Lukic. This is 112th panel in Yardenit, in 112 different languages with the same quote from the Gospel According to Mark – chapter 1:9-11 – that refers to the Holy Baptism in the Jordan River. In his address Ambassador Stanojevic acclaimed the installing of Serbian Cyrillic inscription among so many others from around the world, congratulating father Tomislav, the donors and the pilgrims. 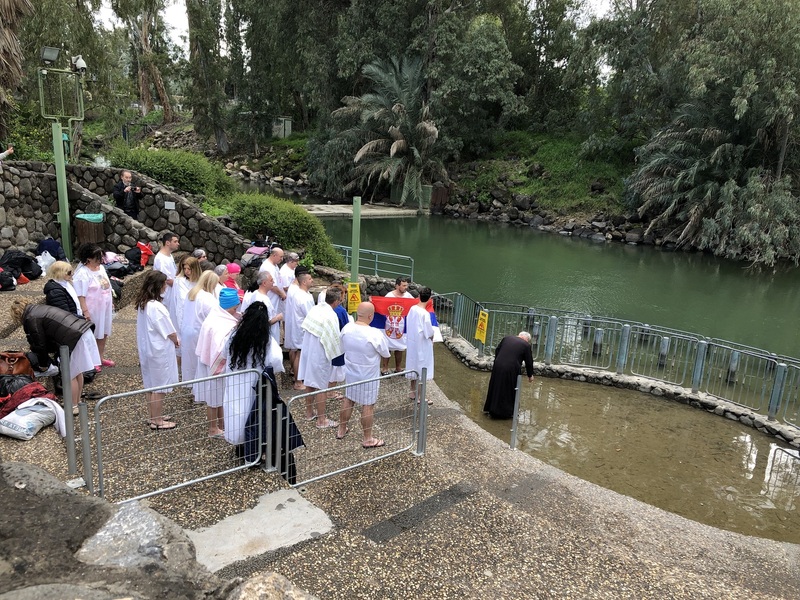 He stressed that even though it is not clear if this location is the authentic site of the Baptism of Jesus, the very fact that it is located on the Jordan River which is perceived as a sanctuary by all the Christians in the world, as well as the fact that the site is visited by half a million Christian pilgrims each year, testify of the great importance of installing the panel with Serbian inscription, especially for Serbian believers and pilgrims. The Mayor of Belgrade prof. Dr Zoran Radojicic and the mayor of Sabac Nebojsa Zelenovic have participated, along with 25 mayors from around the world, at the 33rd International Mayors Conference (Jerusalem, Tel Aviv February 24-28, 2019). The topic of the Conference - organized by the American Jewish Congress, American Council for World Jewry, Federation of local authorities in Israel and the Ministry of Foreign Affairs of Israel - was "Innovative cities", as well as the current issues and challenges that the urban centers are facing, as well as issues of sustainable development of the cities, using innovations, high-tech, energy and cybernetics. Within the scope of the program the guests were received by the Prime Minister of Israel Benyamin Netanyahu.